Christian web site explaining how the Mormon Church of LDS also called the Chuch of Jesus Christ of Latter-Day Saints, is involved in a conspiracy to rule America and the world. 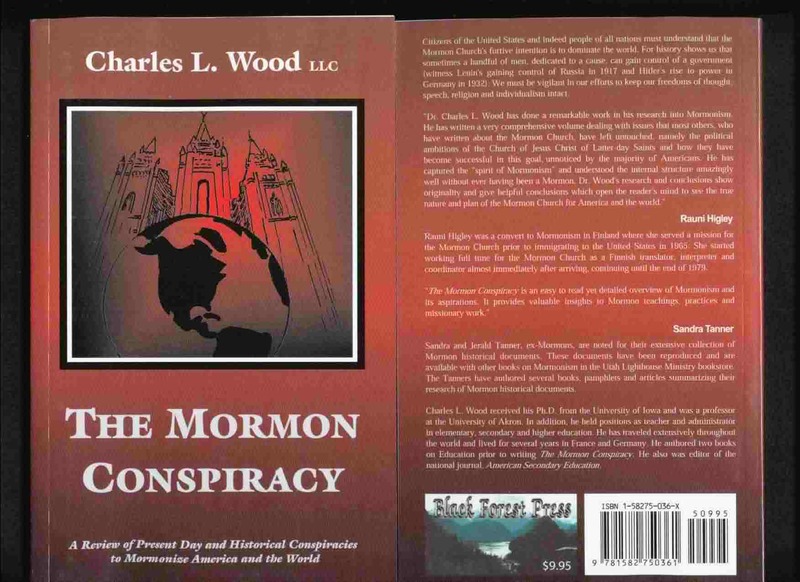 Reviewed in this Christian web site is the Mormon LDS Conspiracy. It reviews a new Mormon belief that was created in America called Latter-Day Saints. As previously indicated, Mormons believe that spirits have three forms in life or existence: (1) pre-existence, (2)in the human body while alive and upon this earth and(3)in life after death. All persons on earth had a pre-existence and will have an after death existence. In order to go to heaven, a pre-existent spirit must enter a human body and live on earth before that can occur. The highest level of heaven is celestial to which all Mormons aspire. They must perform righteous duties throughout their lives while upon earth to get there. Some of the duties that will lead to the highest level of heaven include: serving on a two-year mission, serving in all callings, i.e. as a ward bishop, or other priesthood callings. A women must marry a worthy priesthood holder in a temple and perform her duties and callings at home and in the church. This is why in the days of polygamy, young girls often would readily marry an older man as long as he held one of these high offices even if he already had several other wives, since this would assure them a place in the highest level of heaven.